Your business relies on dependable employees and well-maintained equipment to function. But if you lack the proper machinery or your current equipment breaks down, you can easily find yourself in a difficult situation. 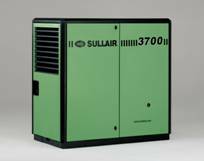 For reliable stationary or portable air compressor rentals, talk to the professionals at Compressor-Pump & Service. We have a variety of air compressors to choose from, and we also rent out any hoses or fittings you need. We know that your business can’t always wait for service, so we offer our rental services 24 hours a day, 7 days a week. And if you aren’t sure what air compressor rentals will work best for your job or situation, our staff can offer suggestions and help you get what you need. With our locations in Nevada, Idaho, and Utah, we can serve several areas, including Salt Lake City, UT. Rely on us when you need any air compressor rentals, and with our large fleet of available equipment, we’ll accommodate you as best we can. We’ve been in the industry for over 30 years, and we only sell and rent equipment from the best brands. Our team ensures all our rental equipment is properly maintained, and when you work with us, you can rest assured you’ll get experienced, respectful service. Should you have any questions about our rentals or service areas, call our nearest location to you. We have establishments in Idaho Falls, ID; Boise, ID; Elko, NV; Reno, NV; and Salt Lake City, UT.